Brown Rice contains the apogee of Cherry’s influences: African, Indian, Arabic and American music are all thrown into the same psychedelic stew. This inventive combinative MO was a resting state for Cherry. Taught at the feet of avant-garde saxophonist Ornette Coleman, the trumpeter accelerated quickly into the unknown. He recorded with Coleman, Sonny Rollins, John Coltrane, Albert Ayler, Archie Shepp, Pharoah Sanders and the New York Contemporary Five — and helmed free jazz classics like 1961’s The Avant-Garde (with Coltrane), 1965’s Complete Communion and 1971’s Orient. Where those albums were fiery and provocative, Brown Rice is a subtler, more accessible listen — without losing an ounce of Cherry’s experimentation. 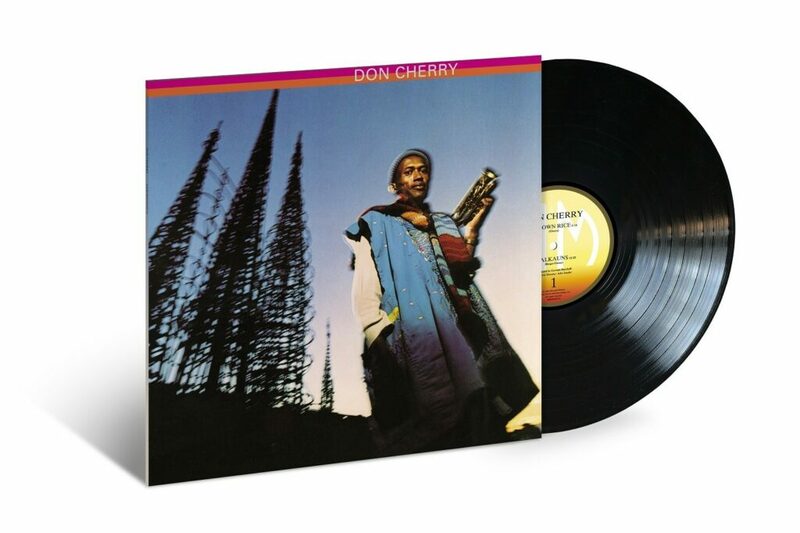 The result is a wonderful entryway into the work of Cherry — whose revolutionary approach looms large in the jazz world. Notably, “Chenrezig” was recorded by Michael Mantler, the Austrian trumpeter who brought Cherry’s cross-cultural fusions into his work for ECM Records. Cherry’s children and stepchildren, Eagle-Eye Cherry, David Ornette Cherry, Christian Cherry, Neneh Cherry and Titio have made waves in the jazz, hip-hop and alternative rock spheres. Brown Rice has been unavailable on vinyl in the US since 1977, but those interested in the outer limits of American music can now own a far-out classic once again. Whether you’re a student or an uninitiated musical seeker, it’s never been easier to get lost in the poignant cries of Cherry.